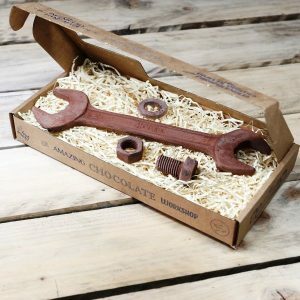 Coloured items hand-finished with edible ‘paint’. 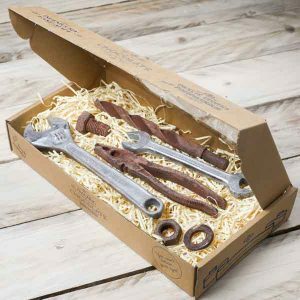 Colour is flavourless and does not affect the taste of the luxury chocolate., Exquisite surface detailing., Nut & bolt perfectly designed to actually screw together on the thread, just like the real thing! 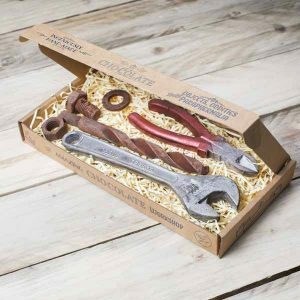 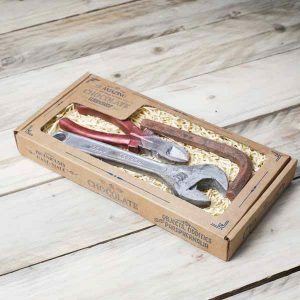 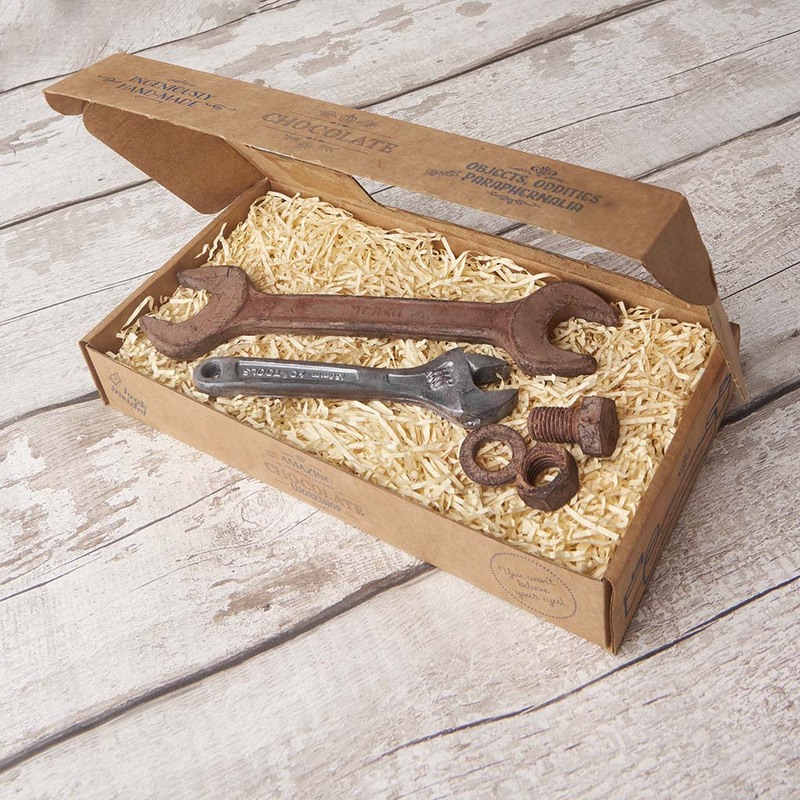 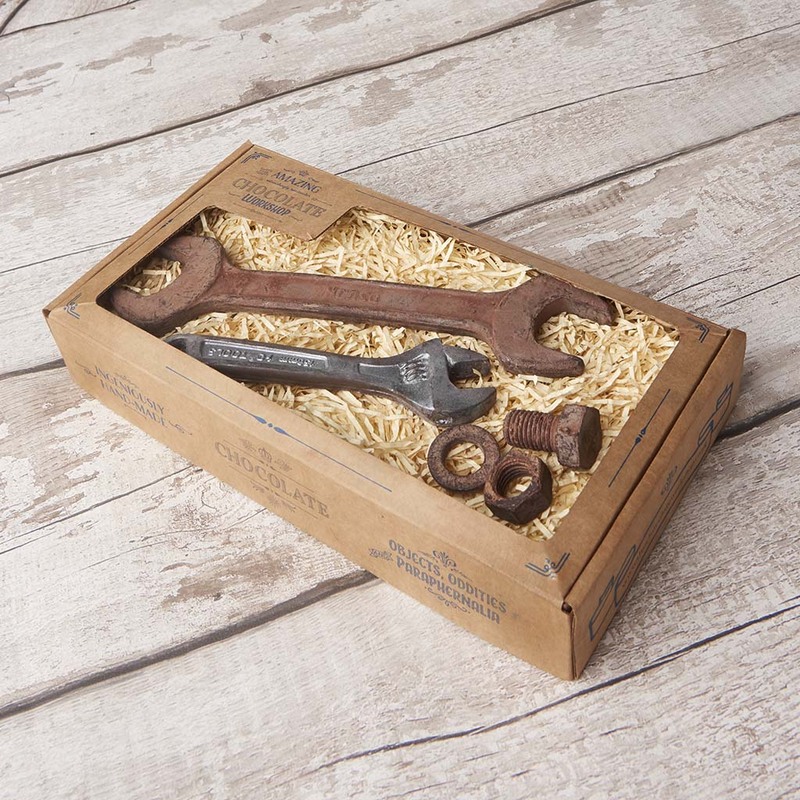 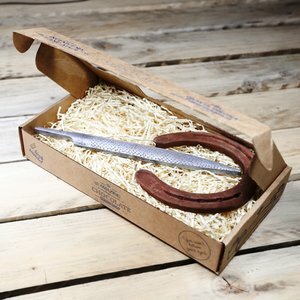 The tools were beautifully crafted, securely packaged in a large box and delivered speedily – very happy all round with this gift.